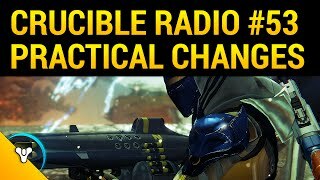 One year of Crucible Radio, in the books. Thank you so much to everyone who has supported us along the way – we find such great joy in making this show week after week and can’t wait to continue. All of you make this possible. Let’s talk Destiny. This week you’ll hear from some old friends that you know and love: Jon Weisnewski, AstDroid, The Battlebros, Sports Psychologist Steve, The Fun Police, Holtzmann, Igknight, Daddyphatsnaps and Fallout! Lookout for an interview with Jon Weisnewski and other Bungie Developers, coming soon!